Flawed follows seventeen year old Celestine North who is a resident of Humming, a city where The Guild exists. The Guild is hired by the Government to seek out not criminal behaviour, but instead behaviour that is frowned upon and that could cause uproar. The Guild came about after the fall of the leaders of the nation who were found to be corrupt and so the Flawed system was put in place to remove those sorts of people from power and keep peace among the nation. When you are found 'Flawed' you are branded, in one of five places depending on how you are Flawed, and have to live a life that is filled with just the basic necessities and no un-flawed member of society may help you if you are hurt or in trouble because aiding a Flawed can be punishable with prison time. Celestine North is a rather high up member of this society, her Dad runs one of the media outlets, and she literally lives next door to one of the leaders of The Guild, Judge Crevan... Who's son, Art, Celestine just happens to be dating. I went into this book with totally different expectations. When I read the title and synopsis I had a little panic, I imagined people being marked as Flawed because their nose wasn't straight or because they hadn't touched up their roots quite often enough. But that's not what Flawed is about. People who are found Flawed are usually those who lie to others at work to get ahead, cheat on their partners, go abroad to seek medical treatment that is not allowed at home, etc. They're not crimes, but the actions are things that The Guild wish to discourage. Through a lot of this book I was confused about what age the book is meant for. At some points I was sure it was meant for 14 year olds, then something absolutely horrific would happen and boom it was NOT meant for 14 year olds because of the graphic nature. This wasn't so much of a downside for me, reading it at 20, but might be for someone who's bought it for the younger side of the YA audience. One thing that truly bugged me about the book was Celestine's younger brother, Ewan. I'm not sure that we're ever given his age, but based on what he says, how he acts, and the way he is sheltered by the North family, his age ranged from six years old to twelve. Ewan is part of maybe 2 scenes, is mentioned a couple of times, but then totally disappears?! We have no idea whether he was at a friends house or with a relative when things started to go bad. This was Ahern's first YA novel, and in my opinion, she did a stella job. I enjoyed her characters and the idea behind the novel, I liked that within 50 pages I was hooked and finished the entire thing in less than a day, and I absolutely love that it's going to be a duology and not a trilogy. However, you could definitely tell that Ahern is a contemporary writer. Although the world in which Flawed was set was messed up with a Government aided system that is absolutely horrific, not much actually happened in Flawed, but at the same time... a lot did (That makes total sense right?!) Basically, I felt as though Flawed was more a contemporary book set in a Dystopian world, it focused on day-to-day life rather than all the horrors of The Guild. An element of Flawed that I thoroughly enjoyed was the love interests (although I'm slightly worried it'll turn into a love triangle in Perfect, the sequel to Flawed). I don't want to say too much as it might be considered spoilers, but the relationship that arises when Celestine is at her lowest point is extremely interesting and odd and the same time. I can't wait to see where it goes. Something I think we can all appreciate about Flawed is that the parents are some of the best characters in the book. Too often do we see parents within YA books/series who are stereotypical YA parents, that they're distant or useless, too mushy, etc. I won't say too much about Celestine's mother and father, because I feel as though it might spoil the reading experience slightly, but I will say you won't be disappointed about this relationship. As I said earlier, Flawed is part of a duology and I have to say that if it was going to be a trilogy I may have decided to put the books down and just be happy having read Flawed, but the fact that when Perfect releases we'll have an answer to all our questions is something I'm really happy about. I think that too many authors are pressured into writing as many books as possible, especially the much sort after trilogy, and that there are so many books that were dragged out into three that could have easily been one or two and would have been just as beloved. There are a lot of very interesting but unexplained characters within Flawed that I would have really loved to get to know a bit better, especially since Flawed was over 400 pages. Some characters appear here and there just to aid the story and then totally disappear. I'm hoping that when Perfect releases we'll have the opportunity to learn more about these characters. Overall, I really enjoyed Flawed and would definitely recommend it to people who love a dystopian with a bit of contemporary in there. I do think that I should mention again that there are a couple of rather gory scenes that you might want to avoid if you're squeamish (I'm not saying that my hands got all sweaty and I actually cringed the whole way through... but I'm not not saying that either). I ended up giving Flawed 4/5 stars (★★★★☆) -- I cannot wait for Perfect! 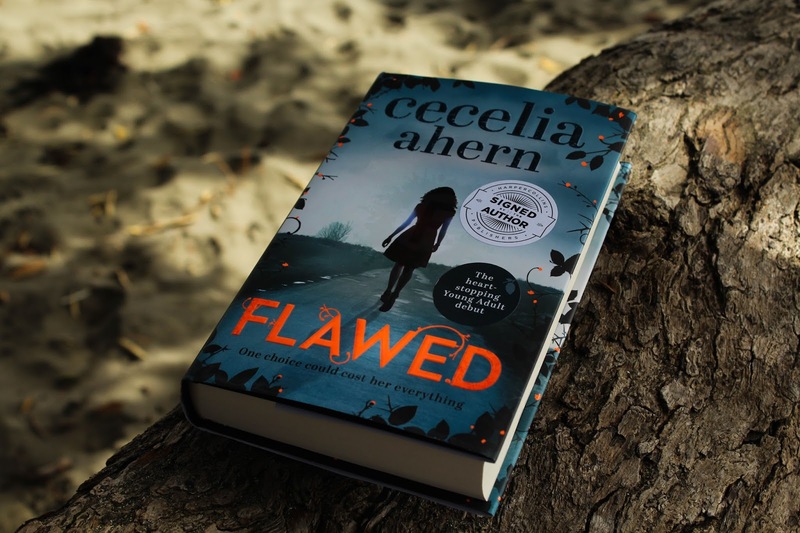 I hope that you all enjoyed this review of Flawed by Cecelia Ahern and consider adding it to your TBR! Has anyone read Flawed? What did you think about it? 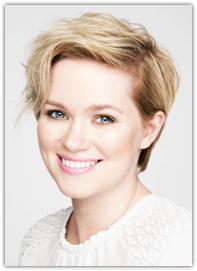 Will you be reading Perfect? *I received this book from HarperCollins NZ in return for a being a part of the Flawed blog tour. All opinions of the book are my own.